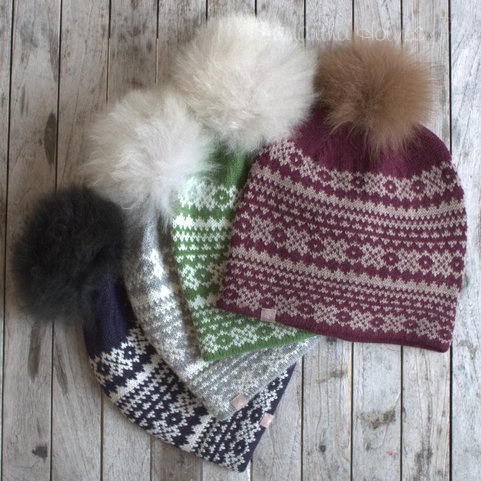 Head out in style with our beautiful new Alpaca Fair Isle Beanie hat with detachable alpaca fur pom pom. Perfect for dog walking, alpaca trekking or whatever takes your fancy in the Great Outdoors. Knitted with an extremely insulating alpaca and lambswool blend, you'll never feel cold, and each hat is gently felted for a snag-proof finish. All of the Fur here at Samantha Holmes is ethically sourced.